Do you dread the five o’clock dinner hour? Or maybe sitting down to create a menu plan for your family feels daunting and exhausting? I’m always on the hunt for recipes that are quick, healthy and downright easy to prepare. The last thing I want to mess with after a day of work is a complicated recipe. My husband and I both work from home and we eat lunch together just about every day. On the menu are either leftovers or hummus and pita chips. My husband prefers the leftovers and I prefer the latter. 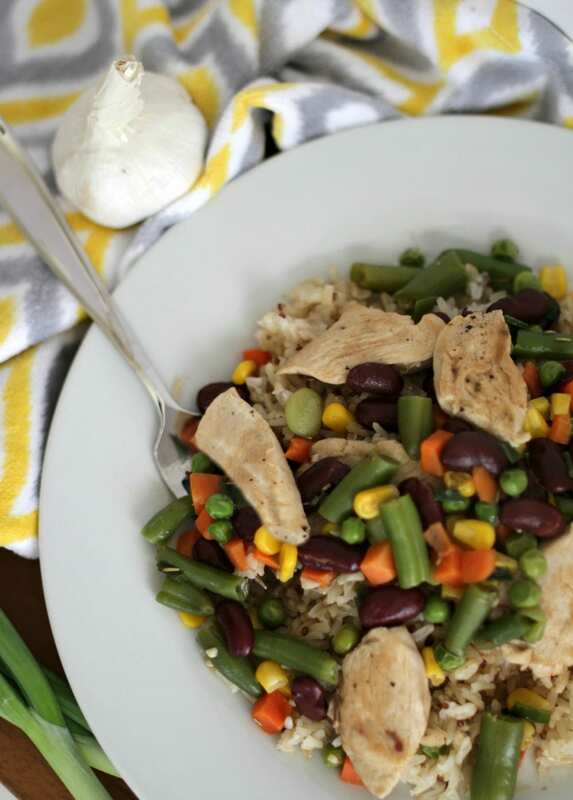 But when it comes to a meal like this Chicken and Bean Skillet that is flavorful, full of veggies and protein, and requires just a quick warm up in the microwave – I am all for the leftovers! I’m happy to say, this recipe involves those three ingredients, so get ready to make your family’s mouth water. 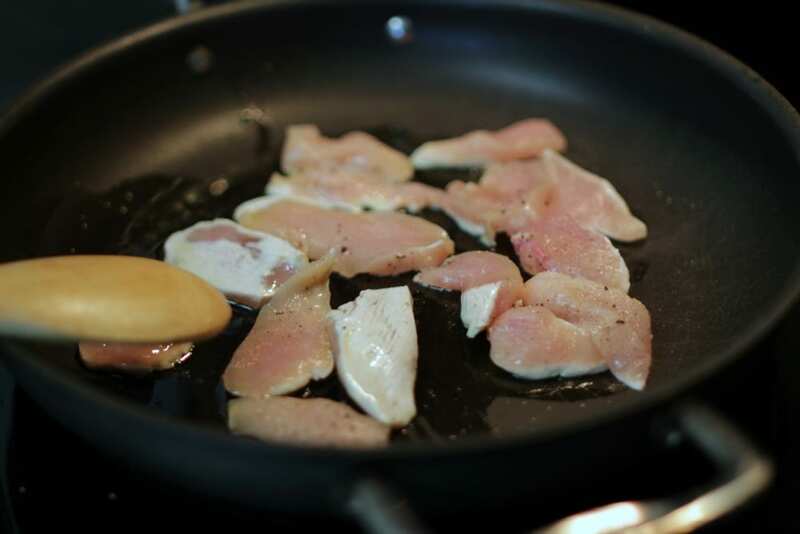 Step one: Slice a boneless skinless chicken breast into small slices. 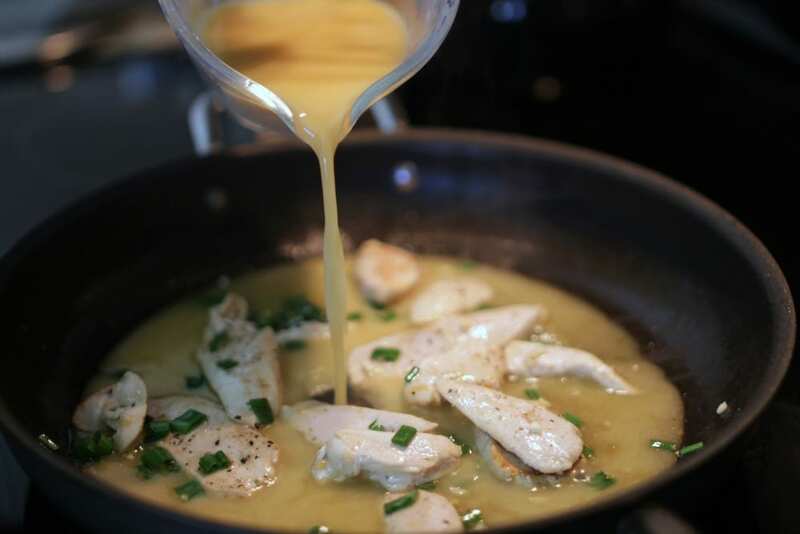 Heat oil in skillet and sauté the chicken until browned, about 5 minutes. Step two: Add the sliced green onions and chopped garlic, cook another minute. Only cook until you just start to smell the garlic, because any longer and you’ll burn it. Step three: Whisk together the chicken broth and flour, add to the skillet. 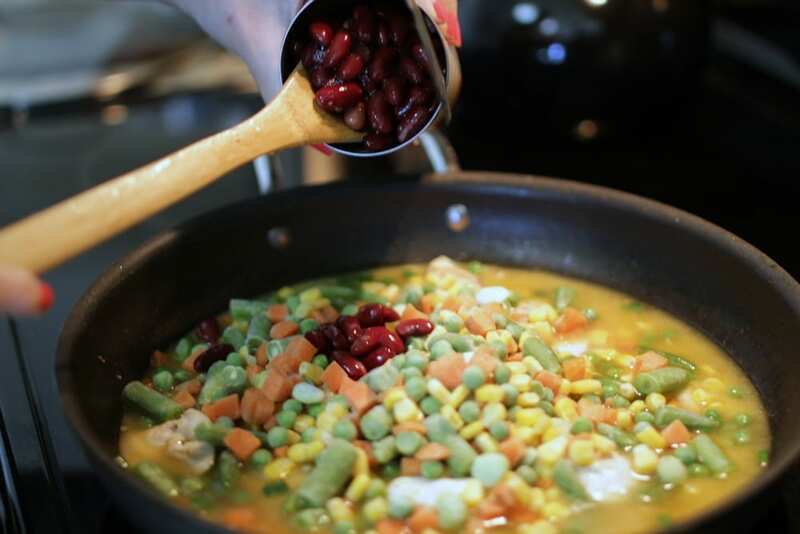 Also add frozen vegetables, beans, herbs and spices. Heat to boiling. 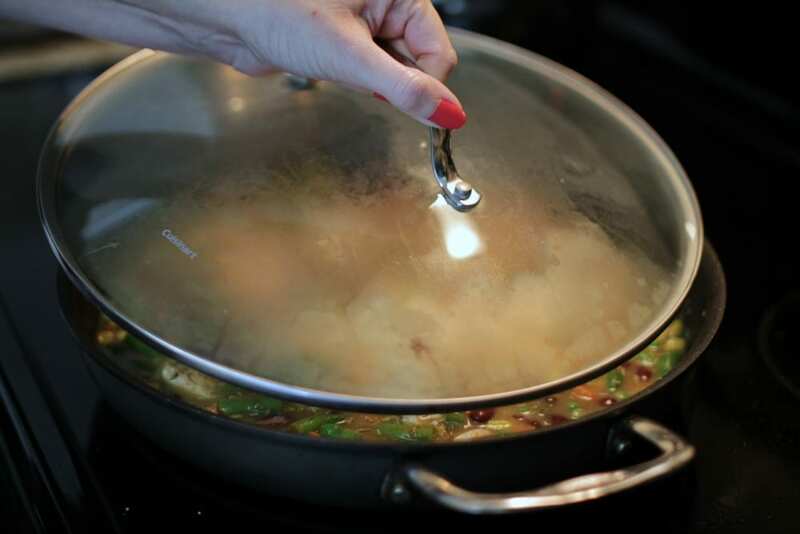 Step four: Reduce heat to simmer, cover, and cook until chicken and vegetables are tender, about 6 minutes. 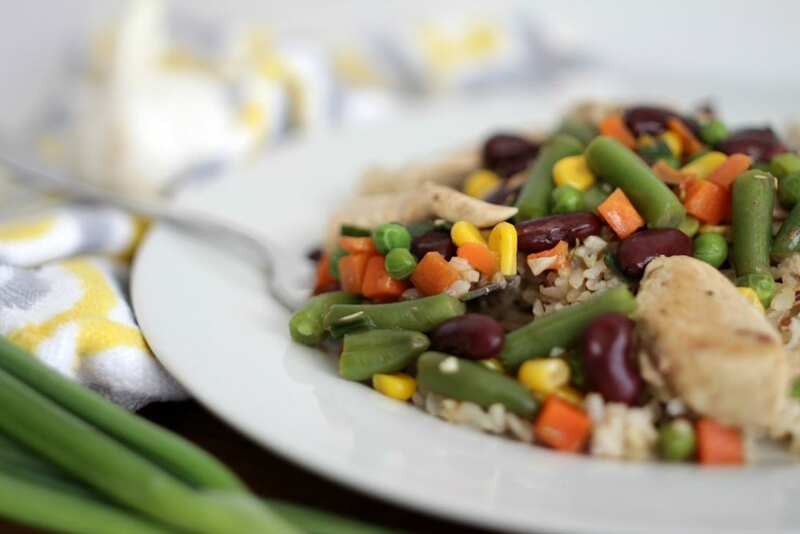 Step five: Serve chicken and beans over brown rice. Eat and enjoy! 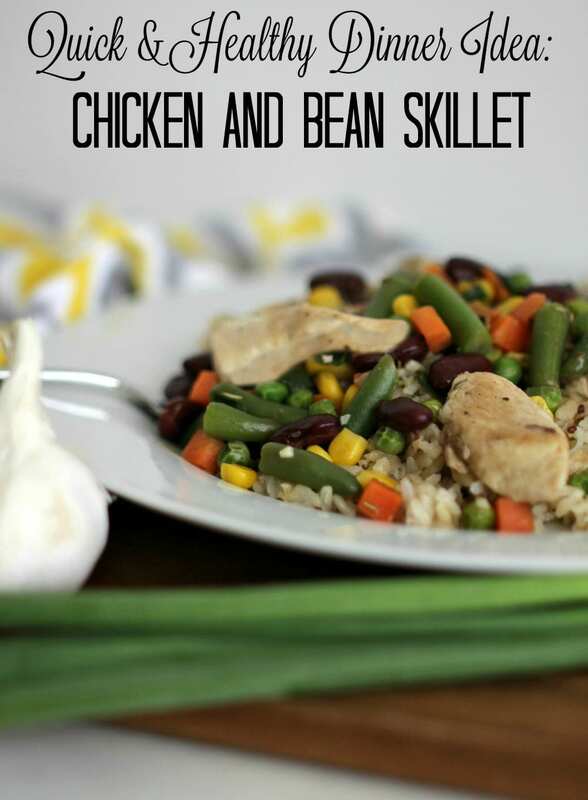 The brown rice and the chicken and bean skillet is very filling and because it has chicken, vegetables, beans and rice, it’s a complete meal in one! 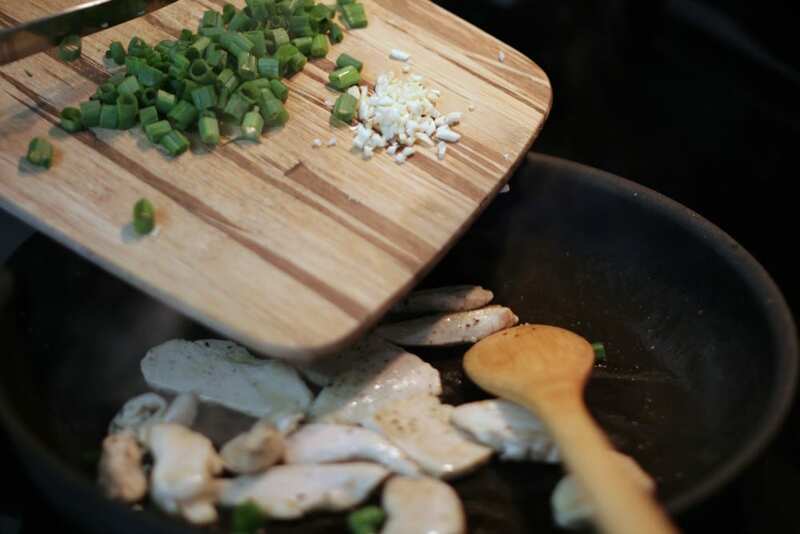 Plus, it’s all made in the same pan, making cleanup easy peasy. Are you hungry yet? Whip this up one weeknight for your family and they’ll be singing your praises! 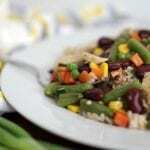 Do you have any go-to meals that are perfect for busy weeknights? 2. Add the sliced chicken and saute until browned, about 5 minutes. Add green onion and garlic and cook another minute. 3. Combine chicken broth and flour; add to saucepan. 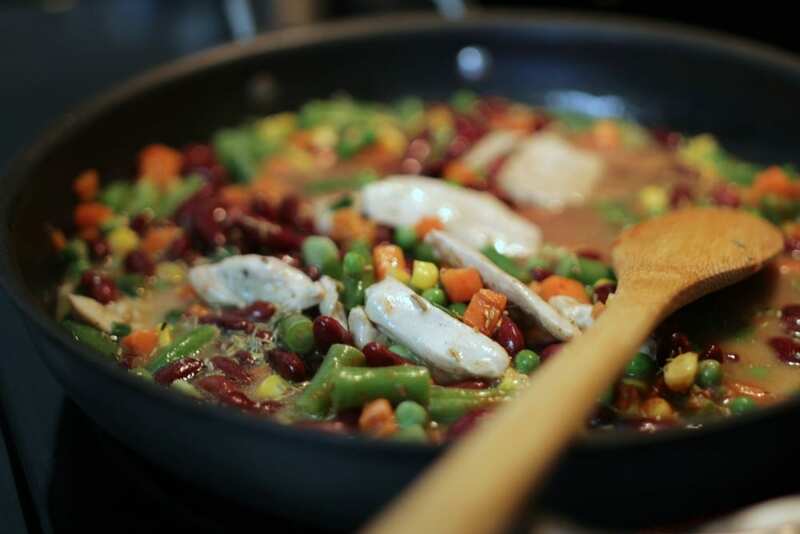 Add frozen vegetables, beans, herbs and spices and heat to boiling. 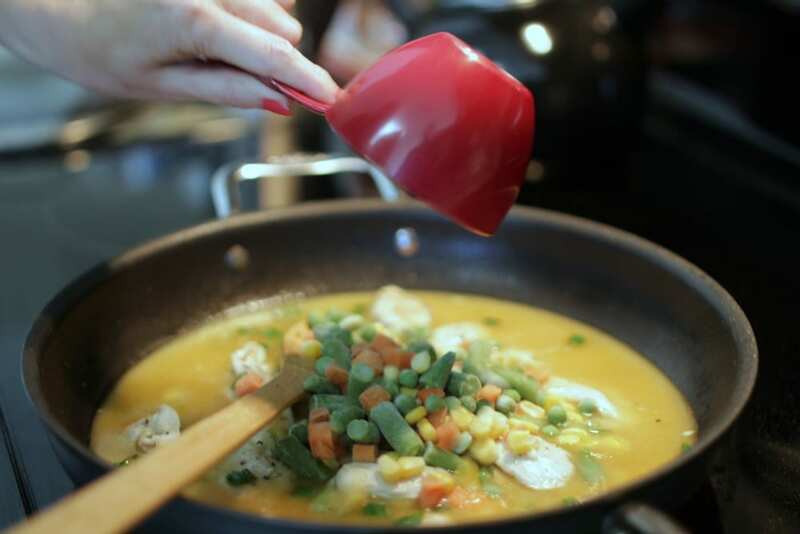 Reduce heat and simmer, covered, until chicken and vegetables are tender, about 6 minutes. 4. 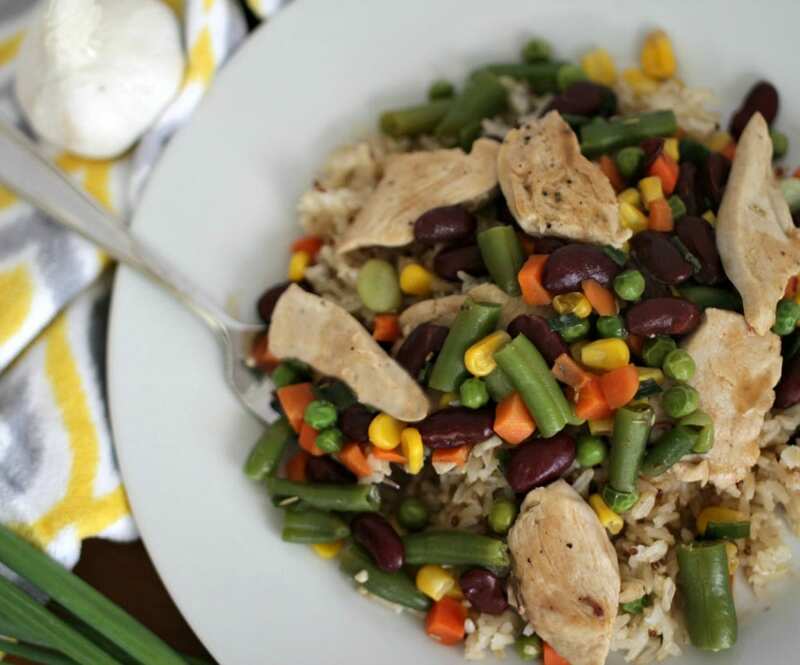 Serve chicken and beans over brown rice.